Essex Crossing - Grand St. Settlement | Bold. Grand. Inspired. 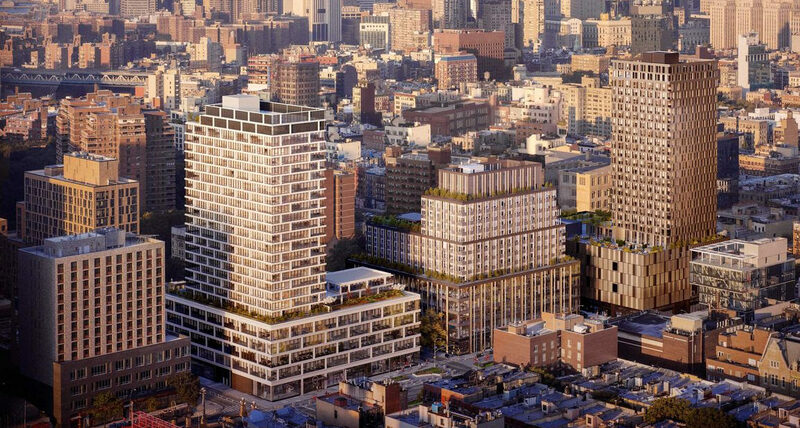 Grand St. Settlement is proud to be the lead community partner of this unprecedented development comprised of residential, commercial and community space. Site 6, now called the Frances Goldin Apartments, was the first building completed in Essex Crossing. It’s 100 permanently affordable apartments are now occupied by seniors 55+ who are enjoying safe, comfortable new homes. The Grand St. Settlement Essex Crossing Community Center on the 4th Floor is providing services to the residents, and the GrandLo Cafe social enterprise job training program is open at 168 Broome St.
Picture all the “good” that comes from getting a cup of coffee—from the ritual of the visit, to the warmth of familiarity, to the satisfaction of something made just for you—and now imagine all of that feeling that amplified across an entire community. We’re capturing that good and using it to re-energize the Lower East Side. 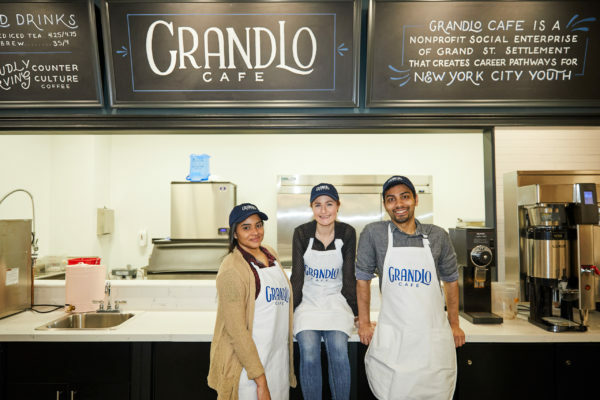 GrandLo Café is operated by—and for—local community members and features a youth job training program, cultural and community events, and a communal gathering space. Together, these components contribute to the cafe’s double bottom line: to generate revenue to advance our work in both the Lower East Side and Brooklyn, and to extend to New Yorkers the invitation to be a part of a new wave of community-building. We are proud to open the Essex Crossing Community Center, a state-of-the-art intergenerational community center directly supporting older residents of the new development. The community center features programming for New Yorkers of all ages, especially our Essex Crossing neighbors.